Cool Energy supplies a breakthrough power conversion product called the ThermoHeart® Engine. Thermal energy is collected from sources such as industrial exhaust stacks, stationary power generators, and thermal pollution control equipment, which each emit hot gas with temperatures up to 700°C. The thermal energy is collected from these gas streams and used by the ThermoHeart® Engines to generate electrical power. 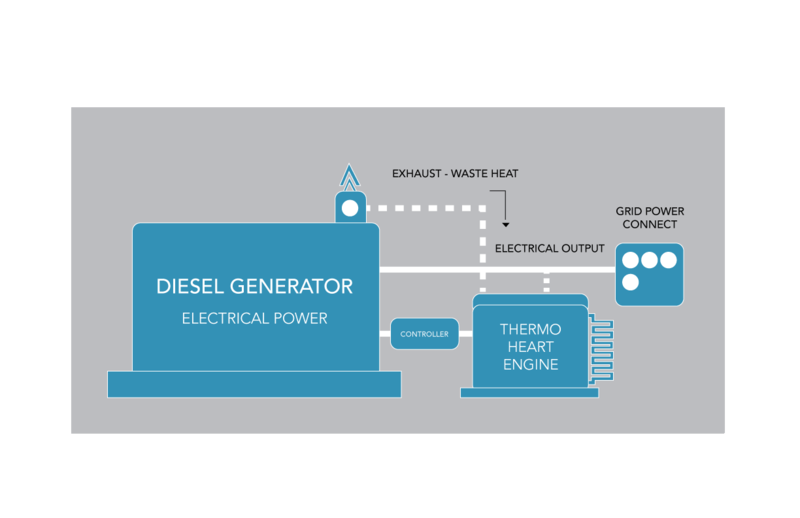 Producing up to 25 kilowatts of clean electricity from each module, the ThermoHeart Engines are quiet, low-maintenance, and extremely efficient. In initial performance testing, a 320° Celsius temperature difference produced nearly 30% conversion efficiency! No other product or technology has demonstrated such a high performance under similar conditions. Solar Impulse Foundation presents the ThermoHeart Engine top honors for ambitious for-profit environmental solution.